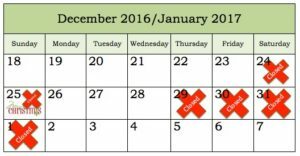 We got a lot of feedback that our Holiday Hours did not show up on our recent newsletter. 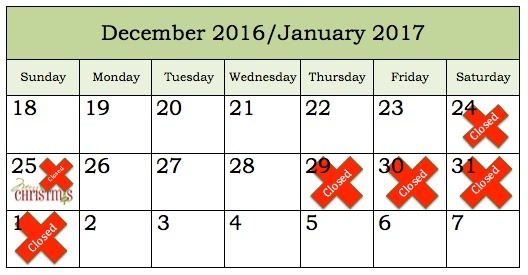 So in case it didn’t show up in your newsletter, below is the graphic displaying our Holiday hours. We are sorry for any inconvenience that this may cause you, and pray that you have a great Holiday season spending quality time with the ones that you love! Posted in Uncategorized on December 6, 2016 by sharp_admin.